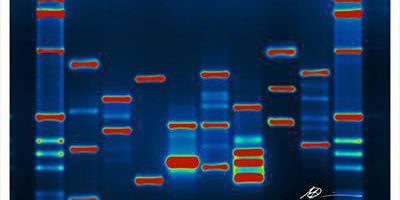 University to host leading bioinformatics hub. This article originally appeared in MUSSE on 15 June. View the original here. A joint agreement with EMBL Australia will see the establishment of a state-of-the-art bioinformatics resource hub at the University. James McCluskey, Deputy Vice-Chancellor of Research and Nadia Rosenthal, Scientific Head at EMBL Australia, announced the signing of an agreement for the relocation of the hub, known as the EMBL Australia Bioinformatics Resource, to the University. It will be based at the Victorian Government-funded supercomputer facility, the Victorian Life Sciences Computation Initiative (VLSCI). The European Molecular Biology Laboratory (EMBL) is Europe's flagship laboratory for the life sciences, and focuses on training and services to its scientific community members. The Hub represents a significant opportunity to advance bioinformatics expertise and support broader biological sciences research across an Australian network of universities and research institutes. Associate Professor Andrew Lonie, who heads up the VLSCI's Life Sciences Computation Centre for the University, has been appointed as the Resource's interim director. Professor McCluskey said Associate Professor Lonie is an outstanding leader in bioinformatics research infrastructure, application and service. "He will now draw together a range of collaborative partners across Australia to continue to build upon Australia's national bioinformatics networks and resources, which are crucial in this big-data era," Professor McCluskey said. The new agreement involves a network of service providers at node around the country. They will provide local training and researcher support, plus bioinformatics tools and platform access, modelled on the successful services delivered at VLSCI over the past five years. "VLSCI is the perfect home for the Resource. Building upon the excellent foundations laid by the original hosts, the University of Queensland, we aim to continue to develop and deliver best practice genomics tools and services, training and expertise to Australian life sciences researchers," Associate Professor Lonie said. "We are building on our extensive expertise and assets to ensure we remain at the cutting edge of bioinformatics by working directly with EMBL's world-leading European Bioinformatics Institute. "Through the resource we are highlighting Australian data and expertise to the world, and making sure we are right at the forefront of international initiatives in bioinformatics infrastructure and training." EMBL Australia is funded by the Australian Government through Bioplatforms Australia, a National Collaborative Research Infrastructure Strategy program established to serve the Australian research community's molecular biology needs.